We have conversations every day, everywhere. At work, home, and most everywhere we go. Some are informal and some formal. Verbal? Written? We talk, convey, converse….all the time. But are we doing it well? Good intentions But unintended consequences? 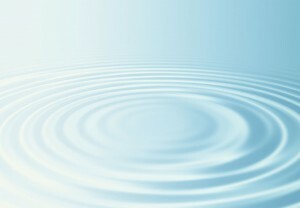 Every word, phrase, interaction or even silence can have a profound ripple effect — for better or worse. Most people (and organizations) mean to do well but sometimes (or often?) the results are not aligned with one’s intentions. Conflict in relationships? Missing the mark in creating understanding and enrolment? Not engaging your team, talent or other stakeholders? Seeing too much of an ‘I’ vs. ‘we’ culture? Feeling isolated as a leader (or emerging leader) and not connecting with those you need to authentically connect with? Communications intelligence is now recognized as one of the most essential competencies for personal, professional, and organizational success. 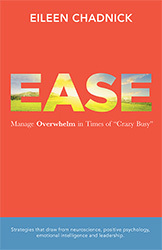 Announcing new offerings from Chadnick Communications and my sister company Big Cheese Coaching — to inspire personal, professional and organizational well-being through leadership and communications excellence. New Blog – “Conversations” – where we’ll share insights, best practices, new ideas and news about conversational intelligence; and new offerings in queue. So as you think about your next stage of personal, professional and organizational development – a question to ask is: Does your communications truly hit the right mark and create the ripple effects you would like to see? Can you do better? Since everything starts with a conversation – we should start one; I’d love to hear your story and explore how we can support you. Eileen Chadnick, ABC, PCC, ACPC, is a certified leadership/executive coach and a professional communicator with more than 25 years of experience. 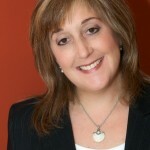 She is principal of Big Cheese Coaching and Chadnick Communications. Her mission is to inspire personal, professional, and organizational well-being through leadership and communications excellence.